If the newsletter does not display properly, click here to view it in your browser. Along with coauthor Beth Critton, I have continued writing our popular “Sidehill” column since retiring from ATC in 2015. I also aid staff editor Sue Daniels with other research and articles. I am writing this column one last time, at least for now. 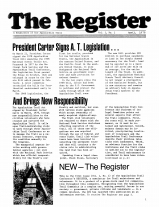 The Register enjoys a long history, and ATC plans to continue publishing it. It began as a printed newsletter in March 1978 and has been an e-newsletter in varying formats since 2006. In 2016, we also began publishingThe Register Blog, with new, in-depth articles on a variety of topics and “Flashback Thursday” reprints from past issues. ATC has created a new position of Program Director for Volunteer Relations (see below), with responsibilities that include effective communications to recruit, inform, and empower volunteers and support the A.T. maintaining clubs. The director will work with Laura Belleville on determining additional capacity that may be needed, including writing for The Register. 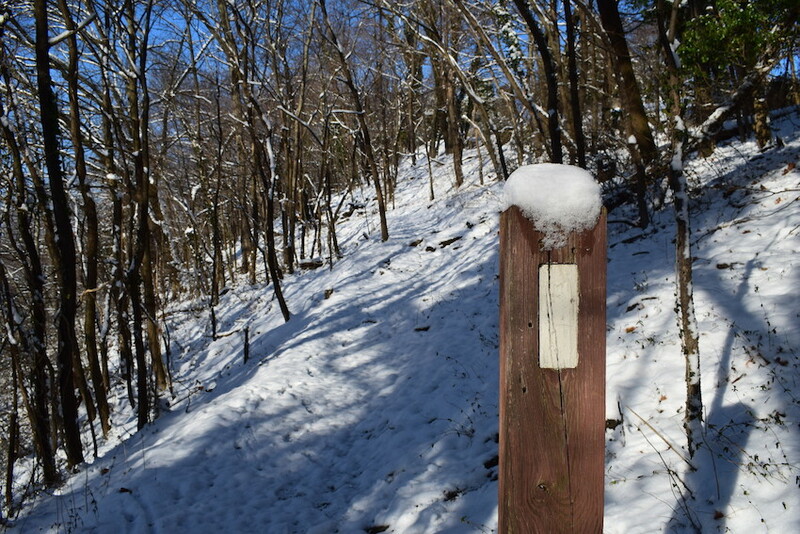 I’ve been asked to write about my favorite subjects or insights about the Appalachian Trail. 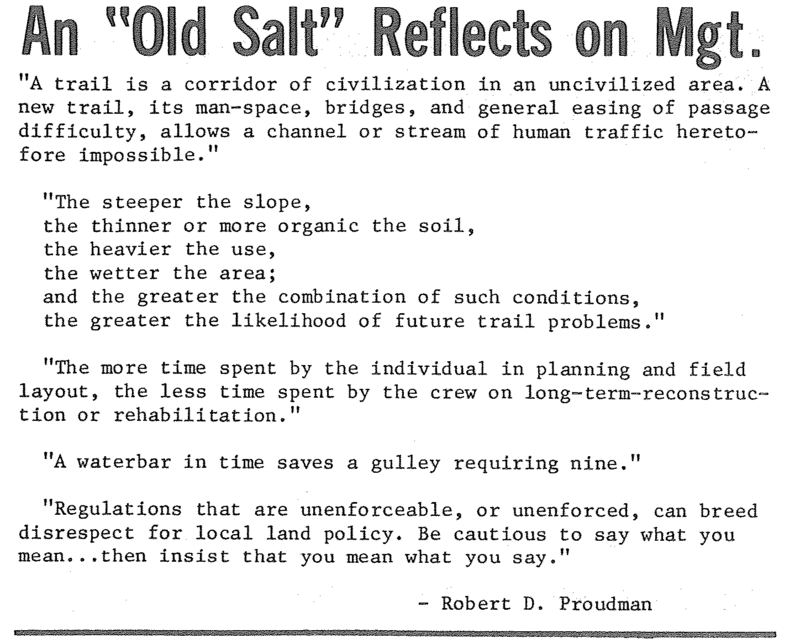 There are dozens of things that I’ve been fascinated with for more than 50 years, learning the trails trade and what that really entails. Today I’ll list just three, club volunteerism, conservation, and sustainability. Club Volunteerism—Self-propelled, the clubs of the ATC seem like the mythical “perpetual motion machine” to this old science hobbyist. 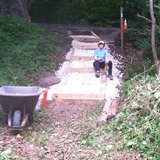 When a hurricane closed 100-plus miles of the Trail and the area’s land manager predicted that it would take a year to reopen the A.T. there, the local Trail club and other volunteers (working with agency specialists, explosive experts for large wind-thrown sections) opened the Trail in three weeks! Those volunteer experts know their sections better than anyone, and frequently guide EMS personnel during emergencies. The 31 A.T. clubs are the envy of the national trails system, and indeed other trails worldwide (see sidebar, "The Empowered Volunteer"). Conservation—As a conservation corridor, protecting lands, waters, and the primitive experience, the Trail not only provides access for hikers, it is a decades-long experiment in conserving trail resources themselves—soils, waters, and rare plants—with dozens of techniques as varied as tread hardening, drainage, puncheon, designated campsite design and construction, and moldering privies. Recognition of this basic “tilt” in the ATC’s and clubs’ historic roles, and the need to continue investing in broader land protection, the ATC changed its name twelve years ago from a “conference” to a “conservancy.” The ATC Board and Stewardship Council, Executive Director Ron Tipton, and the rest of the staff work with the Trail clubs and agency partners to continue and improve upon these investments, from landscape protection right down to the volunteer-installed privy, side-hill or waterbar! 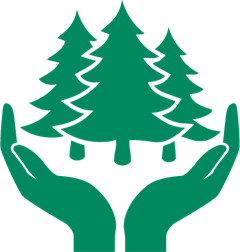 Sustainability—We’ve learned much over the decades and are now improving on our visitor-use-management capabilities, a regular theme of past issues of The Register. Dr. Jeff Marion and Dr. Jeremy Wimpey, recreation ecologists, are conducting a comprehensive study of the Trail’s sustainability, funded by the NPS-APPA. 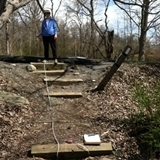 Their paper aimed at improving scientific understanding of factors affecting trail sustainability has been accepted for the March issue of The Journal of Environmental Management (see pre-publication articlehere). It includes preliminary tables of data from the first two (of three) A.T. research field seasons. These data are from a representative sample of 2100 tra nsects for the northern and southern portions of the A.T. (fieldwork for the middle third will occur this summer). Be careful comparing percentages between clubs, as those with fewer than about 150 transects (see sample-size values in tables) may not accurately characterize the Trail sections. 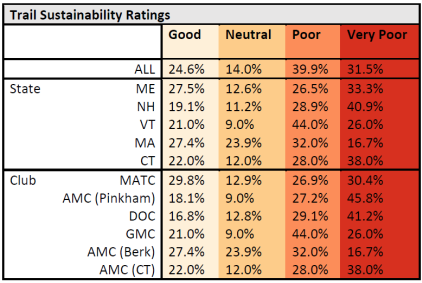 The sustainability ratings they apply are described in the journal paper and were developed from non-A.T. data. 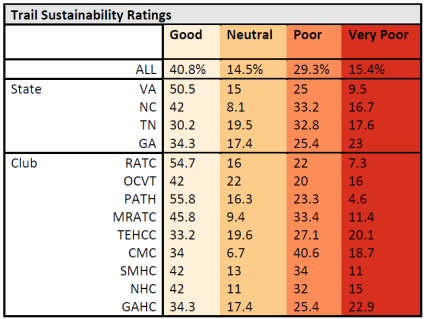 Next year, they will reexamine and refine the ratings based on the full A.T. dataset, reapply them, and provide more detailed guidance on sustainable trail and camping management. P.S. See you at Colby College for ATC's Maine 2017 Conference in August! ATC’ s five-year strategic plan highlights the important goal of effectively engaging our core partners. The A.T. clubs, many of whom are entirely volunteer based, are at the top of that list. Volunteer relations is a big part of our work in the regional offices, but we recognize that dedicated leadership is needed to best support the Trail clubs, and we have selected Leanna Joyner as ATC’s Program Director, Volunteer Relations. As many of you know, Leanna has had a number of roles at ATC, most recently as the Trail Resources Manager in the Southern Regional Office. She also has been serving as the team lead for the Engaged Partners strategic goal, working closely with the Stewardship Council. We are thrilled that Leanna will continue to bring her creativity, strategic thinking, and positive energy to help ATC support and grow volunteer programs and the volunteer clubs. Leanna will lead Trailwide volunteer communications and training efforts. Working collaboratively with club leaders and agency partners, she will help ATC bring strategic focus to volunteer support, communications, and volunteer-related policies. Her primary focus in the coming months will be to facilitate an approach to volunteer service agreements between the National Park Service and A.T. clubs. More about those agreements will be presented and discussed at the spring Regional Partnership Committee meetings. We also hope to take a look at risk management issues and to work collaboratively with the Council and club leaders to identify strategies to help clubs grow. Later this year, we will work on analyzing necessary improvements to ATC's volunteer-data-management system. We welcome your comments and ideas! Please feel free to contact Leanna at ljoyner@appalachiantrail.org. 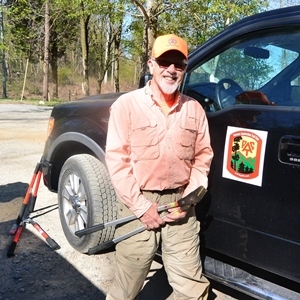 The Trail community is a clearinghouse for conservation skills development and is regarded as one of the most capable and professional conservation volunteer forces in the United States. ATC is now accepting applications for the 2017 L.L.Bean Grants to A.T. Clubs program. The application form and guidelines are being sent to Trail club leaders. The deadline for applications is March 15, 2017, and awards will be made in April. A committee consisting of Trail club volunteers from the ATC regional partnership committees and ATC staff members will review and determine the awards. 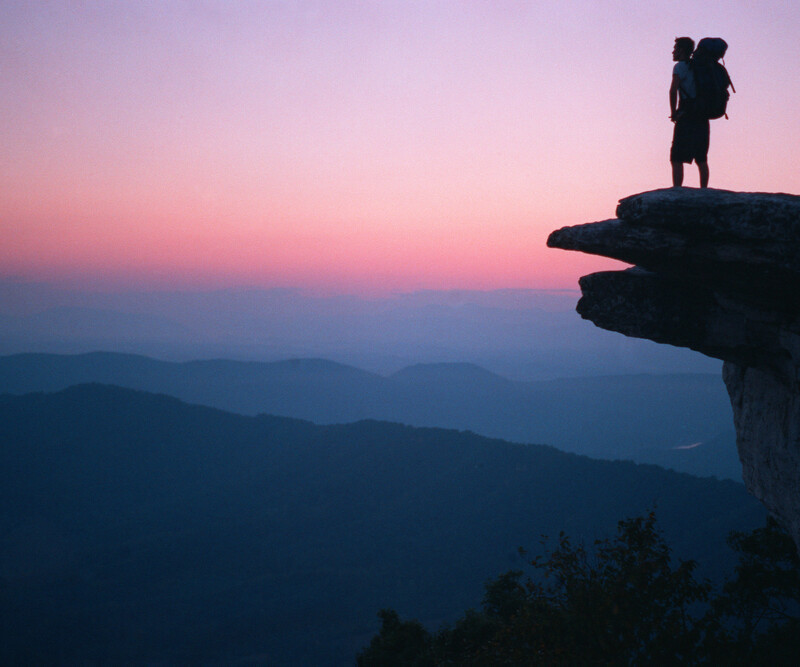 If you have any questions about the grant program or process, contactclubgrants@appalachiantrail.org. If you need assistance preparing a proposal or planning a project, contact your ATC regional office. Since 1980, ATC has distributed more than $637,000 in grants through this program. Outdoor retailer L.L.Bean, Inc. has been the primary source of funding since the late '80s. Last year, more than $30,000 was awarded to 15 A.T. maintaining clubs through this program. A.T. club managers and volunteers - this web page is for you! From back issues of The Register to a maintainer reference library, ATC policies, local management planning, information on managing volunteers, and more—the Toolkit is the best place to find resources quickly. ...of information found in The Register. 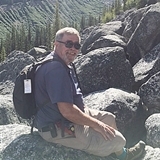 The Register is intended for Trail volunteers and managers. It began as a printed newsletter, then moved online, and is now emailed monthly. The image above is from the April 1978 inaugural issue. 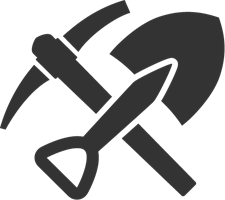 Email issues are posted in the Trail Club Toolkit and can be found here. Please forward this issue to Trail maintainers and anyone interested in the stewardship of the Trail and encourage them to subscribe by sending their first and last names and email address to theregister@appalachiantrail.org. “I love it when I can be the cause of sawdust flying about and creating something out of wood or other material,” says Ron Bungay (“Yellow Shoes”). Ron’s love affair with the A.T. began in the mid-90s, during a section hike from Maryland to the Hudson River. 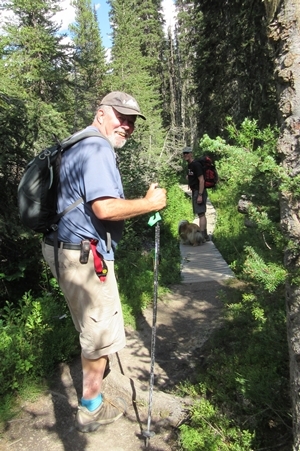 He was impressed with the kindness that people he encountered offered to A.T. hikers. The Register is published by the Appalachian Trail Conservancy for the volunteers of the Appalachian Trail, their agency partners, and others interested in the stewardship of the Trail. The Appalachian Trail Conservancy mission is to preserve and manage the Appalachian Trail–ensuring that its vast natural beauty and priceless cultural heritage can be shared and enjoyed today, tomorrow, and for centuries to come. 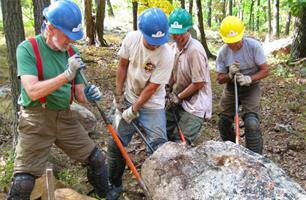 To become a member, volunteer, or learn more, visit www.appalachiantrail.org.